Just wondering who created this illustration … is it in a children’s book? Thanks … I want to use it in an art project and need to make certain that I am not heading into copyright trouble. If you have any further thoughts on where you might have found it I’d love to hear them! I can relate. I didn’t use images other than photos I’ve taken solely for this reason. But the “Reading Puppy” like my other images is safe. I found it on many copyright-free clip art directories and is used by many bloggers. 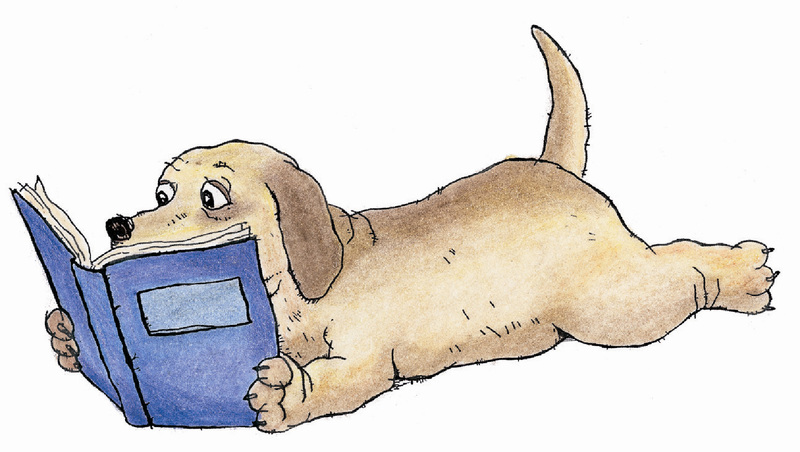 Just do a Google image search for “dog reading a book stock image” and you’ll find it in any size you need.